The hype and anticipation for a couple major 2019 movies just went up a few notches. On Monday, new must-see posters for the upcoming Godzilla: King of the Monsters and Sonic the Hedgehog premiered online. The post Look: New Godzilla & Sonic The Hedgehog Posters Are Here appeared first on SOHH.com. Bethesda, the company behind the uber-popular post-apocalyptic RPG franchise Fallout probably wants to hit the reset button when it comes to its latest game Fallout 76. 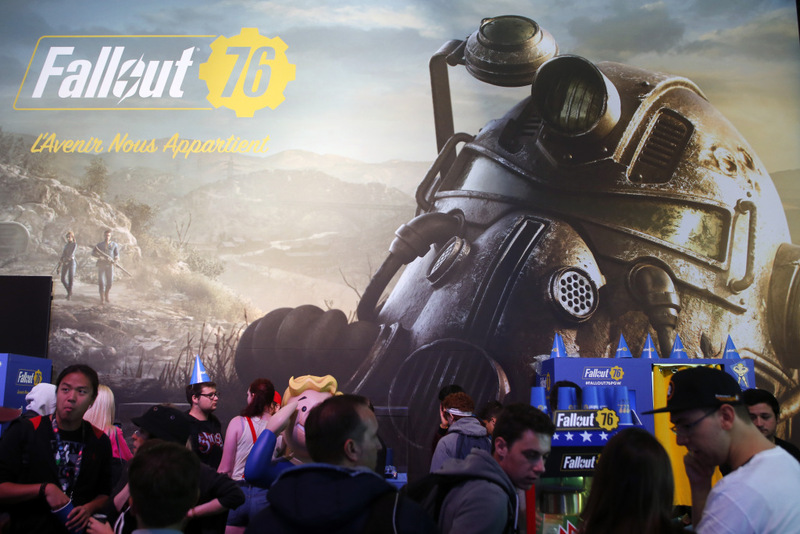 Some customers submitting tickets for replacement Fallout 76 themed canvas bags have been given access areas of Bethesda’s support system, the ability to open and close tickets and access to customers personal information like addresses and phone numbers. A Twitter user who goes by the handle @JesscaTracy9 shared an image of how it looked once given access. Bethesda fixed the issue swiftly, and a community manager for the company responded by just saying “Hi guys, we’ve resolved this issue.” Fallout 76 was one the of the years most anticipated titles but launched with severe issues and is being greeted with some lackluster reviews from critics as well as players. This latest issue adds to the list of things wrong with the game and it’s rollout. Bethesda still has time to work on the game and salvage it with some much-needed updates. Former president George H.W. Bush has died at the age of 94. Months after losing his longtime wife, the 41st head of state has lost his life. According to reports, the late ex-president died Friday (November 30) night shortly before midnight. George W. Bush went to Instagram early Saturday to confirm the news. Back in April, Bush lost his longtime wife Barbara Bush after over 70 years of marriage. Bush is most known for his one-term as president in the 90’s and being the father of George W. Bush. The post Former President George H.W. Bush Dead At 94 appeared first on SOHH.com.